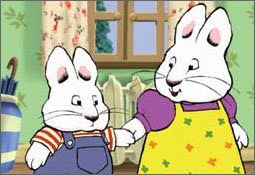 Come on Max, it's time for Morgan's Birthday Party. 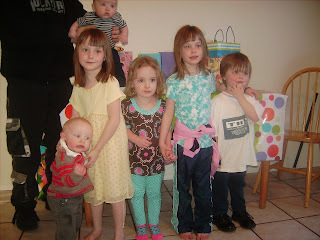 The Tattooed Mama threw a big bash for Morgan's 3rd birthday. When we got there Morgan was asleep on the floor, exhausted from a long week of anticipation I am sure. 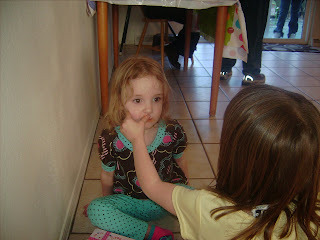 Cassidy showed up with some makeup and got Morgan prettied up for her big day. 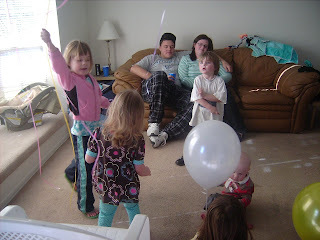 The balloons are a big hit, until they hit the pointy things on those cottage cheese ceilings and blow up! and you all just make us stand here and take pictures. David did not get any cake but he wanted to get in the picture anyway. 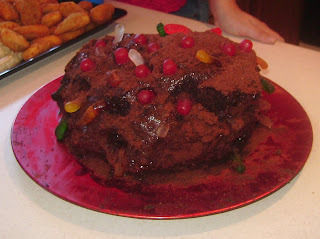 Max made a special worm cake for the party. It was quite delicious actually. 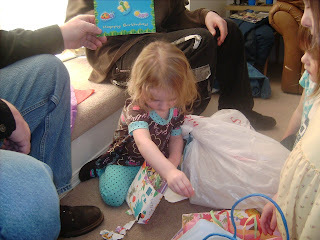 Morgan loves presents. I don't know where she gets that from. 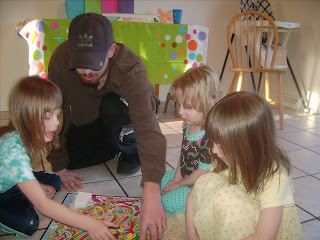 Uncle Matt organized a game of Candyland.